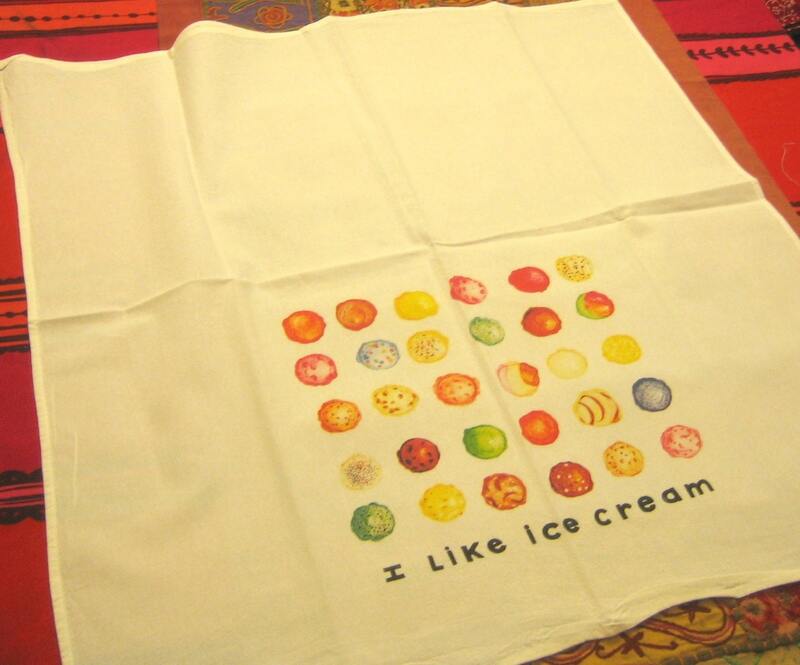 All your favorite ice cream flavors on one kitchen towel to brighten even the darkest days. 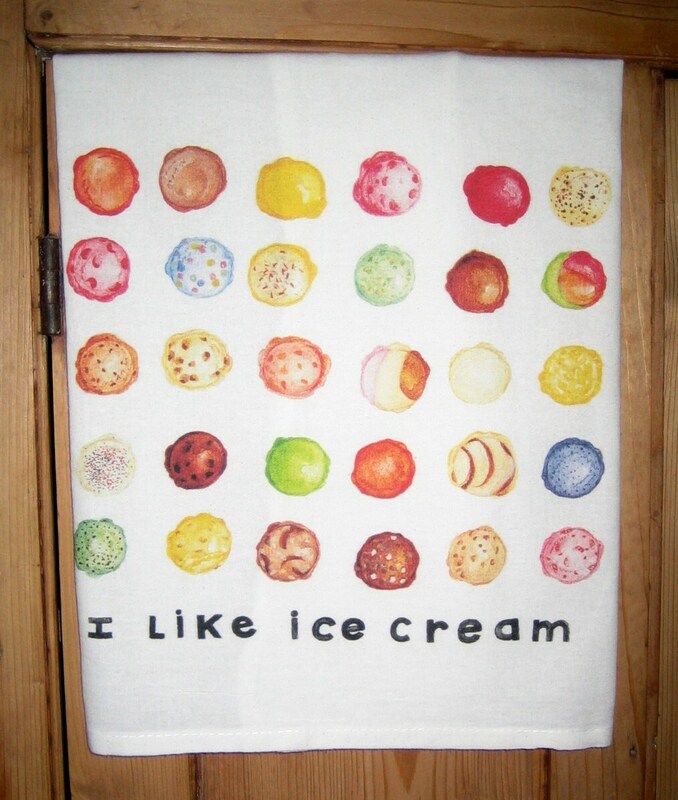 Digitally printed on White Cotton Flour Sack Kitchen Towel from original watercolor design. Towel is appx 30 X 30 and design is appx 10"X 11", center, bottom edge. Please be sure to check picture showing placement and size of design on towel. This is not an overall print that covers the entire towel but more like a picture on a large white towel. The towel is meant to be used, so it is a nice size, the design is meant to be seen when towel is folded and hanging over the oven handle or on a towel rack.